The modern power electronics truly began with advent of thyristors. Thyristors are also known as the silicon controlled rectifiers or SCRs. These are four layered and three terminal semiconductor devices. 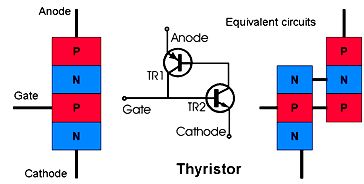 And thyristors are unidirectional devices. 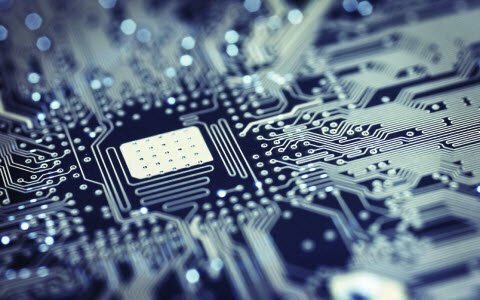 Silicon Controlled Rectifiers are semiconductor devices typically used to control high power coupled with high voltage. 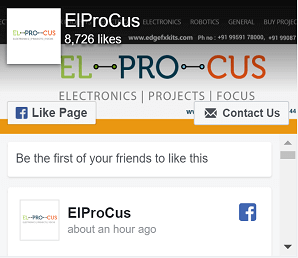 Therefore these devices find applications in high voltage AC power control systems, lamp dimmer circuits, regulator circuits etc. SCR also find application in the rectification of high power AC in high volt DC power transmission. The SCR belongs to the family of Thyristors and actually the name SCR is the trade name of the Thyristor from General Electrics. The SCR is a four layered device with alternating N and P type materials.The SCR consist of four layer of semiconductor which forms PNPN or NPNP structure. 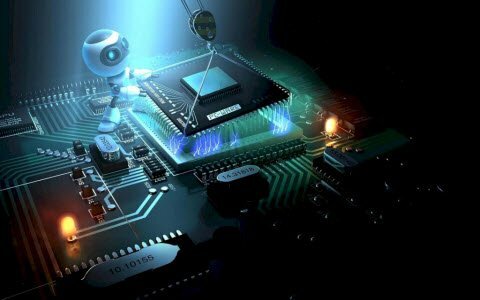 Silicon is used as the intrinsic semiconductor, to which the proper dopants are added. 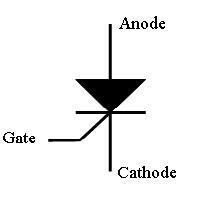 It has three terminals called anode, cathode and gate. The cathode is the most heavily doped and the gate and anode are less heavily doped. The central N type layer is only slightly doped and is also thicker than the other layers empowering it to support a high blocking voltage. The SCR has three junctions namely J1, J2 and J3. The Anode is connected to the P type material of PNPN structure while the cathode is connected to the N type material. The Gate is connected to the P type material near to the cathode. These are unidirectional devices and conducts current only in one direction. That is from Anode to Cathode. Triggering of SCR takes place when its gate gets a positive voltage. SCR is generally used in switching applications like relay driver, battery chargers etc. Reverse blocking: In this state the thyristor blocks the current in the same way as that of a reverse biased diode. Forward blocking: In this state the thyristor operation is such that it blocks forward current conduction that would normally be carried by a forward biased diode. Forward conducting: In this state the thyristor has been triggered into conduction. It will remain conducting until the forward current drops below a threshold value known as the holding current. The SCR start conduction when it is forward biased. For this purpose the cathode is kept at negative and anode at positive voltage. When the forward bias voltage is applied to the SCR, the junction J1 and J3 become forward biased while the junction J2 become reverse biased. When a positive voltage is applied at the gate the junction J2 becomes forward biased and the SCR turns on. From the below circuit, here we used a TYN616 thyristor. When gate is open three break-over voltages is determined on the minimum forward voltage at which thyristor conducts heavily. Now most of the supply voltage appears across the load resistance. The holding current is the maximum anode current gate being open, when break over occurs. 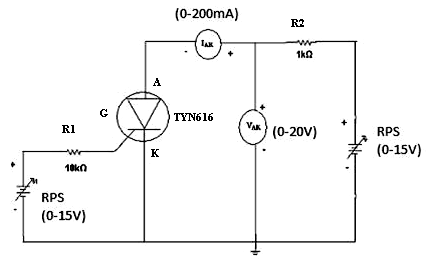 When gate at the OFF state the thyristor provide infinity resistance than in ON state, it offers very low resistance, which is in the range of 0.010 to 10. In the normal off state, SCR prevents the flow of current through it but when the gate to cathode voltage increases and exceeds a particular level, SCR turns on and conduct like a transistor. One important peculiarity of SCR is that, once it is conducted, it remains latched and continues to conduct even after the gate voltage is removed. The SCR remain on until the holding current of the devices drops to a low value. But if the gate gets a pulsating voltage and the current through it is below the latching current, the SCR will remain in the off state. 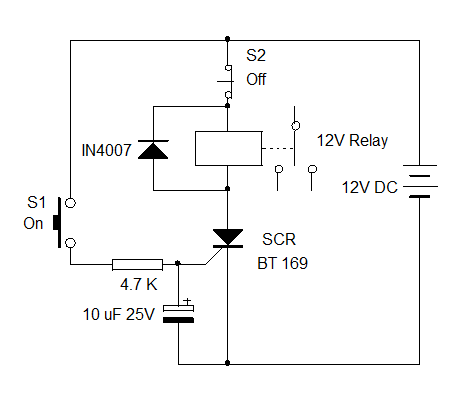 SCR can be triggered without a positive voltage at the gate. The SCR is usually connected with the anode to the positive rail and cathode to the negative rail. If the applied voltage to the anode increases, the capacitive coupling in the device induces charge into the gate and SCR triggers. This type of triggering without the external gate current is known as” dv/dt triggering”. This usually occurs at power on .This is called Rate effect. But the dv/dt triggering will not turns on the SCR fully and the partially triggered SCR will dissipate much power and the device may damage. To prevent the dv/dt triggering, snubber network is used. Another mode of triggering is by increasing the forward voltage of SCR above it’s rated breakdown voltage. Forward voltage triggering occurs when the voltage across the SCR increases with its gate opened. This is called ‘Avalanche breakdown’ during which the junction 2 of the device breakdown. This also turns on the SCR partially and will damage the device. So the voltage should not exceed the rated voltage of the SCR. 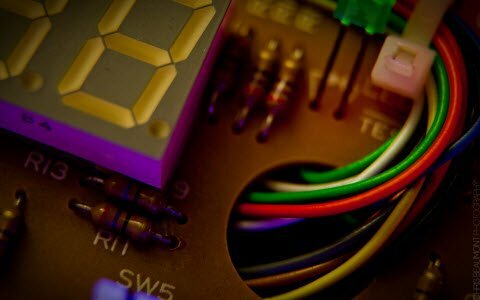 How to switch off the SCR? Once the SCR is switched on, it will be in the conducting mode even after the gate current is removed. This is SCR latching. The SCR can be switched off through reverse triggering. 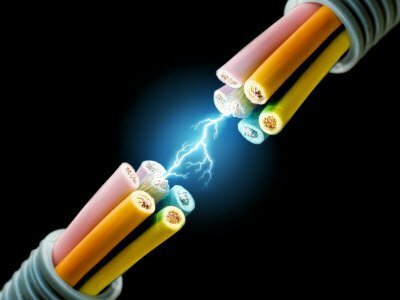 It can be done by applying a negative voltage to the gate. The device can also be switched off either by removing the Anode current or by shorting the gate and cathode momentarily. Thyristors are mainly used in devices where the control of high power, possibly coupled with high voltage is demanded. 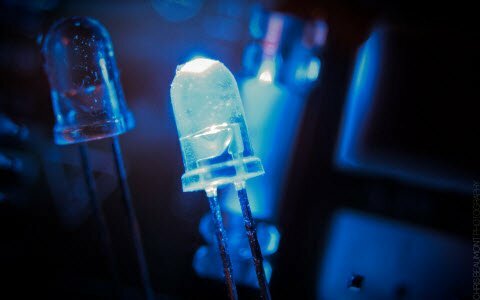 Their operation makes them suitable for use in medium to high-voltage AC power control applications, for example lamp dimming, controllers and motor control. If the switch S1 is momentarily pressed, Relay will turns on. It can be turned off by pressing S2. If the switch S1 is replaced with an LDR and R1 with 4.7K preset, the relay will turns on when light falls on LDR. Preset adjusts the triggering point. If the switch S1 is replaced with a 4.7 K NTC (Negative Temperature Coefficient) Thermister and R1 with a 1K preset, the relay turns on when the temperature increases. Preset adjusts the triggering point.